On January 1, 2014 GA Drilling implemented a project entitled “Research of the drilling platform system for extermal disintegration of rocks in extreme environment” with the ITMS number 25110320109. Project was aimed at sophisticated industrial research and was implemented and completed without partners. 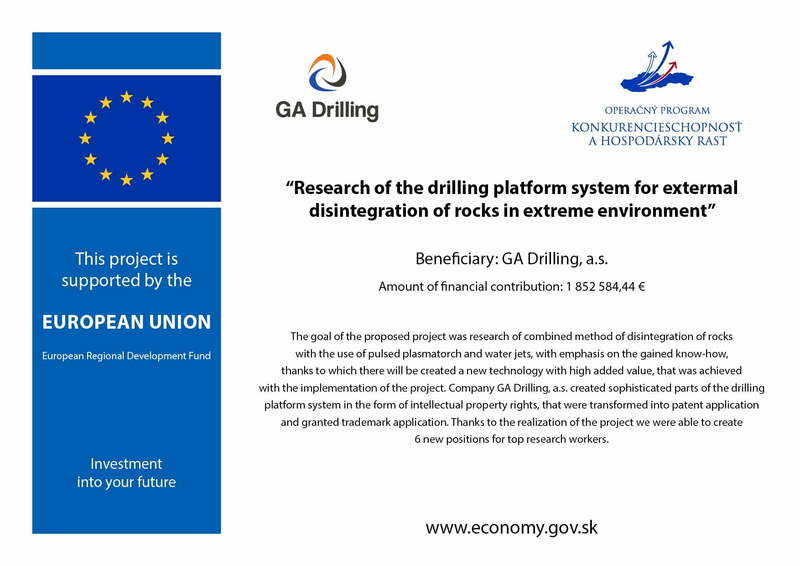 The main objective of the project was industrial research focused on the drilling platform for rock disintegration in extreme environments, including movement and control mechanism. The project consisted of three main activities and two supporting activities and was implemented during 23 months.